LG enV Touch is a low end cellphone released in 2009, equipped with a 3.2 mega-pixels back side camera and a 3 inches resistive screen. This time, LG didn't care about the weight at all, putting together a 4.92 oz product. While this phone is as big as 4.52" long, it only holds a much smaller 3 inches screen. This cellphone is a little thick compared to today's phones, being as thick as 0.66". 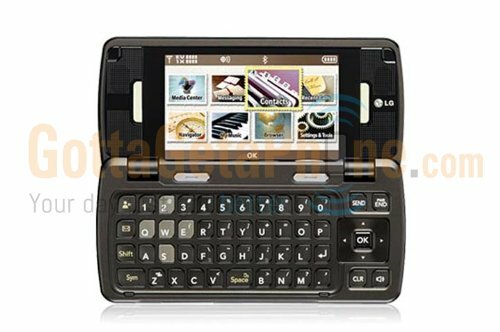 LG designed the LG enV Touch with a completely amazing 3-inches screen, and a resolution of 800 x 480 , providing this phone with an amazing graphic quality. Its screen uses TFT resistive technology, but it's not multi-touch. The LG enV Touch is only equipped with a 3.2 MP back facing camera. This cellphone can also film videos in VGA 640x480. The camera also counts with flash. This phone features a 950 mAh low capacity Li-Polymer battery providing this cellphone with a poor battery life. LG afirms this phone has a talk time of 4.3 hours and a stand by time of 408 hours. The LG enV Touch doesn't have a SIM card, because it is not a GSM device and it can connect to CDMA networks. This cellphone also features some interesting features like Bluetooth (2.1, EDR), GPS (Global Positioning System) and Near Field Communication (NFC), and Accelerometer. This cellphone is being sold for around 100 dollars, which is high for this type of phone.